Famous actors, whether or not they can sing, eventually get around to singing something. Here’s Gerard Depardieu barely talk-singing his way through something. “Elle flippe devant le flipper” literally means “Flip before the flipper”. Maybe it means “Flip before being flipped”, similar to “Dump before being dumped” or something along those lines. Thanks for the translation. I admit, now I want to know the full song! (You’re talking to a fan of B movies). 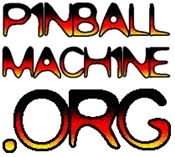 There’s quite a bit of French pinball media out there. If you know of any please pass it along. I’ve already found a couple yoplait commercials and Boule de Flipper. as in she goes nuts when in front of a pinball machine. to not understand the equally horrendous lyrics!